Miyamoto and Sato should get proper training from Tsunku and then after graduation become dedicated songwriters for H!P! Just a thought. Doing songwriting and recording vocals and instruments and stuff on the computer. 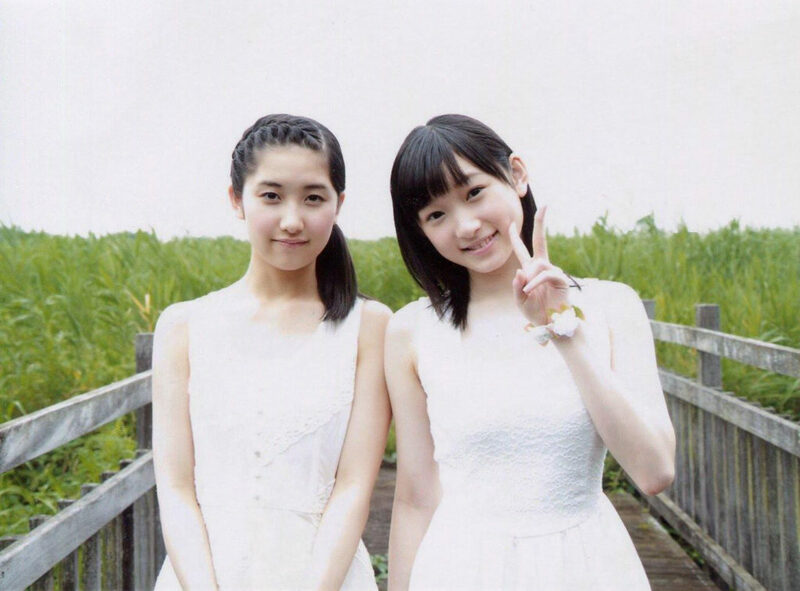 I wish these two both live long, happy lives while remaining connected to H!P. I could listen to Chan-san and Maa-chan talk on this subject for ages. Some time in the future we’ll be reading roundtable discussions between these two on Sound & Recording Magazine. 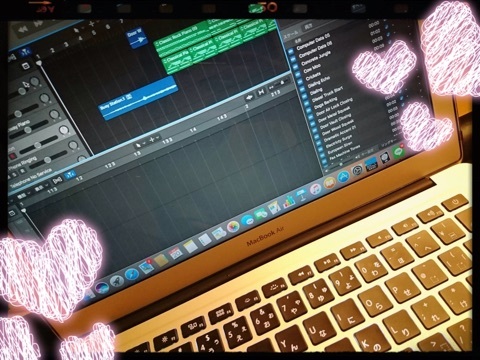 Recently, I’ve been having fun playing with loops and making little songs using GarageBand with the Korg Gadget plugin on my laptop. I haven’t gotten into chord theory yet. I’ll do my best on that. I also put in Logic Pro, but it hasn’t finished downloading yet. 😨 I can’t wait to try it out! I bet Miyamoto will be the one to sing us her self-composed songs first. Couldn’t they let us hear both Maa-chan’s and Karin’s songs somewhere? If Sato has been making her own songs for years now, there’s sure to be some audio out there somewhere. Someone post a link. She only plays them for the members. No one else has heard them. Miyamoto will apparently perform one of her own songs at her upcoming birthday event. I’ve never heard Sato’s songs though. Oda was praising her, too. Sato-san is constantly making songs. 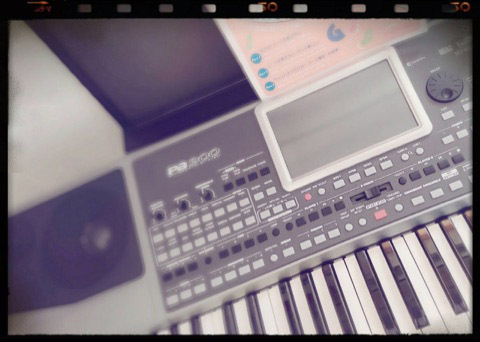 Even today in our dressing room, Sato-san was playing this thing that was a Morning Musume song suddenly changing into one of her own songs! I’m really curious to know how she gets those song ideas or how she makes them. I think Sato-san is definitely a very hard worker. Oda: Sato-san has recently been making songs all by herself. Oda: When she gets home from work, she’ll be working on her songs constantly. Then the next morning she’ll come up to me and go, “listen to this~.” (laughs) It’s almost like a side-job for her, kind of. And she’s pretty serious about it, too. Right? Kudo: Right. It’s not just her fooling around. She’s pretty serious about it. 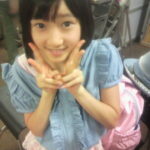 Oda: She also records her own vocals, and she’ll raise or lower the key and make CD’s out of it. Even if Maa-chan eventually graduates from Musume, I hope she still keeps working in music. 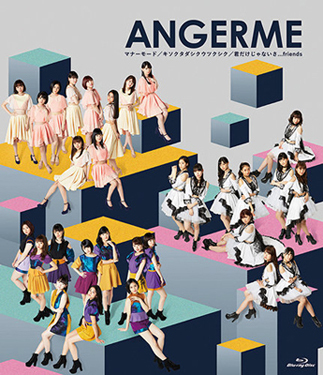 Seriously, it’s high time that they digitally released one of Maa-chan’s compositions already. Both Miyamoto and Sato are honestly pretty amazing. They’re both amazing. While there are some idols who get into playing instruments and stuff, it’s not every day you hear about female idols who are into DTM. 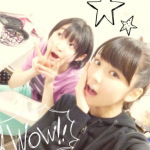 Maa-chan is such a self-effacing person, the accounts of her amazingness always come from someone other than her. Maa-chan is a genius, no doubt. This is the kind of thing I like about H!P. I hope one day, Maachan’s tune will be performed by Kyary Pamyu or Perfume lol. I think she is likely to graduate before those two. 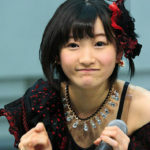 I want to hear a Maa-chan song. And see a music video for it produced by Maa-chan herself. A video produced by Maa-chan would probably be like a fever dream. It’d be great. I can envision something like this coming from Sato Masaki be exceptionally good! Since they let Karin perform her songs I have to assume Up-Front is quite alright with them being presented publicly, so I hope Masaki will want to let everyone listen to hers one day. I mean, how great would it be to have a bonus c/w track by Masaki or a Juice=Juice digital single produced in part by Karin? Wow, Pink Moment was quite the surprise. Some nice Tsunku-ish twists in the composition. Makes me almost fear that learning chord theory will dampen Karin’s creativity in that department. Is that the same girl who used to bring back snow for Hokkaido in her suitcase (spoiler alert: snow melts!)? Man, she has grown so much. Not just from girl to woman, but from bonkers to genius. I am genuinely impressed. Wouldn’t it be something if Masaki, Karin, and Fukuda Kanon formed their own indy band? Pink Moment is really cute, Miyamoto is soooo talented! I still can’t believe I shook hands with this girl, she’s incredible. Once Maa-chan is fully and truly satisfied with her own work, perhaps she will let us hear it?